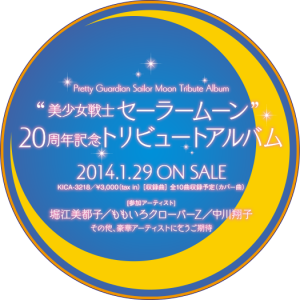 Well over a year into the 20th anniversary celebration a new Sailor Moon 20th Anniversary tribute album has been announced. This album will be released on January 29th 2014 for a price of 3000 yen, roughly $30 US. The album will have a total of 10 tracks with three of the artists already announced. The date of January coincides with the latest news of when the new Anime wil be released, though this date may be coincidental. 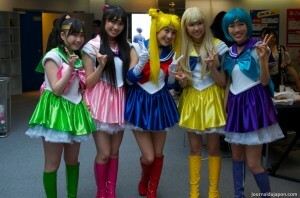 Momoiro Clover Z, who will be performing the theme song for the upcoming new Sailor Moon anime, will be doing a track. It’s unclear at this point if the track on the CD will be the new theme song or not. 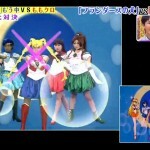 As Momoiro Clover Z have performed Moonlight Densetsu, the original Sailor Moon anime theme song, in concert a number of times already it’s also a possibility that this cover will be their track on the CD. 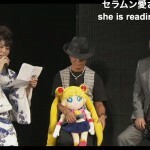 The two other artists which have been named to date are Mitsuko Horie and Shoko Nakagawa. 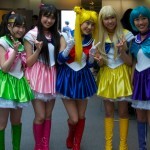 Mistuko Horie is best known to Sailor Moon fans as the voice of Sailor Galaxia from the Sailor Stars series. 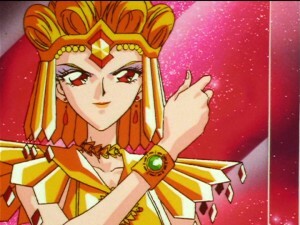 As the voice of Galaxia Mitsuko Horie sang the song “Golden Queen Galaxia”, her character single, though she has also provided the vocals for many other songs, both related to anime series she has stared in as well as others. 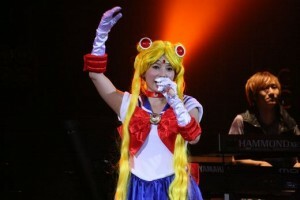 It’s unclear at this point whether she will be performing a song as the character of Galaxia or not. Shoko Nakagawa is a Japanese singer who has covered many songs from the Sailor Moon anime in the past including Moonlight Densetsu, Otome No Policy and the Sailor Stars theme song. There are currently no details stating whether or not this album will contain previously recorded covers or new material. 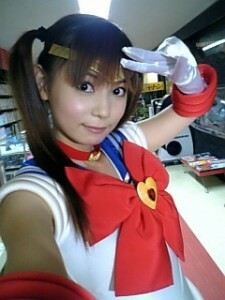 Shoko Nakagawa is a big Sailor Moon fan and has cosplayed as characters from Sailor Moon a number of times. You can already pre-order this CD from Amazon Japan or CD Japan. Source: Three Lights and Moon Chase. This entry was posted in Pretty Guardian Sailor Moon Crystal (2014), Sailor Moon Anime (1992) and tagged 20th Anniversary, Mitsuko Horie, Momoiro Clover Z, Moonlight Densetsu, Music, Shoko Nakagawa by Adam. Bookmark the permalink. I hope they got Yoko Ishida for the CD.